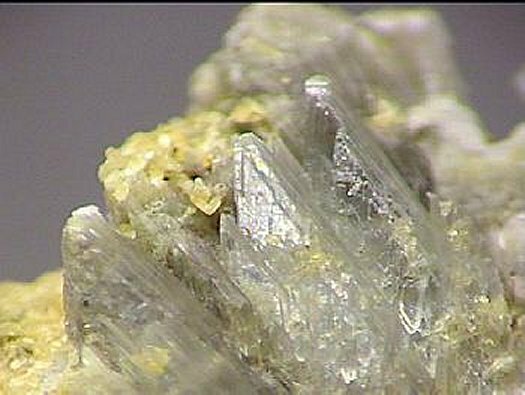 Comments: Crystal group of bobierrite partially covered by yellow calcite. Location: Zheleznyi Mine, Kovdor, Kola Penisula, Russia. Scale: Crystal size 1 cm.